The world is changing faster than brands are. 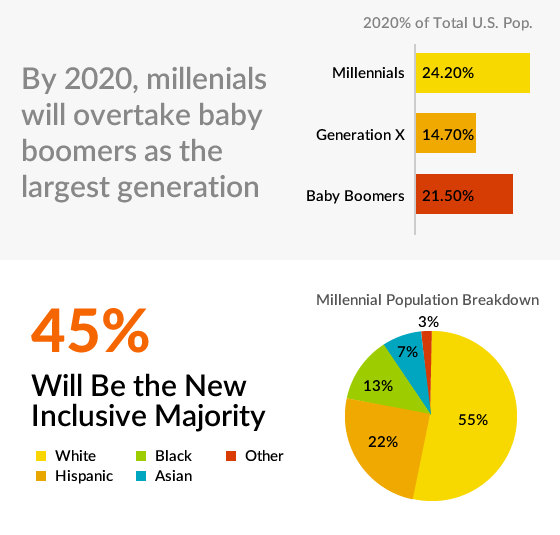 The fact is: The world is evolving more rapidly than business can keep up with. And there’s one foundational common denominator driving our next evolution. OMNIKAL (formerly DiversityBusiness.com) is recognized as the “Gold Standard of corporate excellence in the diversity industry” by its clients, members and their associates. We take pride in representing our community of 2,000,000 strong and growing. We foster business growth for all businesses in our community and host one of the industry’s most exclusive events each year to honor and award top companies for their efforts in diversity & inclusion. TOGETHER WE ARE is OMNIKAL’s signature initiative. 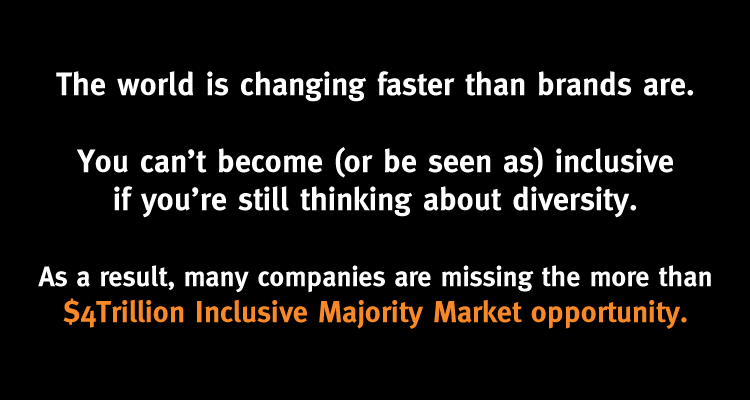 This timely program is focused on helping companies rebrand “diversity” and make the shift into leading the way through inclusion. Imagine the potential for your brand when your organization is transformed internally, in a way that extends throughout its leadership, workforce, customers, suppliers, community and stakeholders, creating an enduring, positive ripple effect. 4) This solves the complex problem of integrating a powerful new brand essence throughout internal culture, marketing, supplier and community channels. 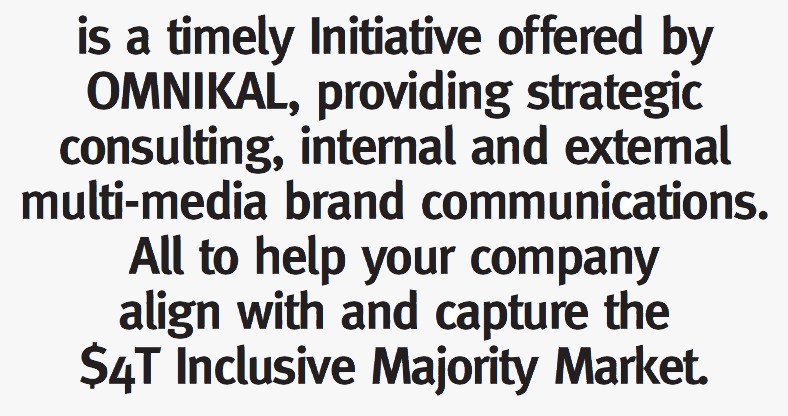 5) It creates a fresh, new innovative foundation that sets up new, multi-media brand messaging to be developed for social awareness, marketing and advertising effectiveness that leads directly into sustained, future growth with the Inclusive Majority. authentic mirror of your world. Your company is deeply connected to, and attracts the consumers and communities that are your inclusive market. The result is financial, ethical, social, cultural success.